I guarantee that once you read this inspiring, life-changing book, your life will change ­forever. 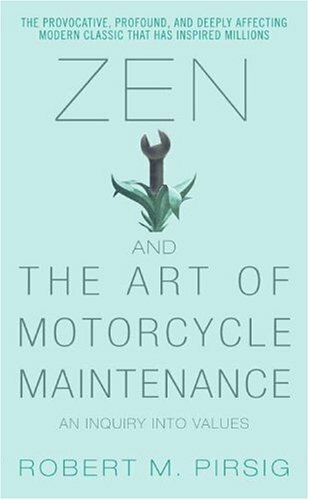 Zen and the Art of Motorcycle Maintenance is a philosophical tale with all the qualities of a well-written novel. As you get into the story, you will realize that author Robert M. Pirsig knows what he's doing. He clearly identifies the characteristics and personalities of each character. He is a master. This book delves deeply into philosophy as the narrator describes a father and son taking a cross-country journey on a motorcycle. The narrator slowly reveals the true intentions of the characters and the truth about life. I became addicted to Zen and the Art of a Motorcycle Maintenance. It is one of the most profound books I have ever read. It raises question that will make you continue reading until the very end. This article has 5 comments. Read this book in a senior seminar too many years ago to mention and was deeply moved by it. Glad to hear that it still has relevance today. Thanks for sharing. Who would think that a high school student and a 40-year-old woman would both find tremendous value in the same book? Nice write up! By the way, great job on making the magazine. One of the deepest books I've ever read. I should read it again.